Find out what it takes to be eligible for Canadian immigration and begin your clear path to Canada. Canada's new immigration selection system makes the Canadian immigration process simpler and quicker. 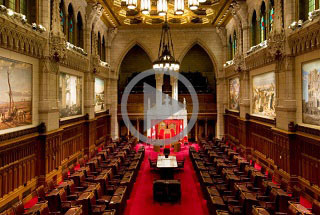 Enter your email to subscribe to the Canada Immigration Newsletter. Do you intend to reside in Montreal or another city in the province of Quebec? The Quebec Immigration selection system is based on a human capital model so applicants do not require a job offer. You may be eligible to immigrate to Canada under the Quebec Skilled Worker, Quebec Experience Class, or Quebec Business / Investor categories. 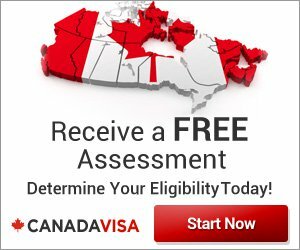 Do you need to obtain a Canadian work visa (work permit)? Our law firm has a team of work permit specialists who can help foreign individuals, foreign businesses, or Canadian employers get the Canadian work visas (work permits) required for working legally in Canada. Most international students will need to obtain a Canada Study Permit (Student Visa) in order to attend school in Canada. If you apply to attend a school in Canada and receive a letter of acceptance, you are ready to apply for a Study Permit. Studying in Canada will prepare you for work in Canada, and it can also help you fast-track your Canadian immigration application if you wish to stay in Canada after you graduate. Do you wish to sponsor close family members to come to Canada? Close relatives of Canadian Citizens and permanent residents may qualify for Canadian immigration. Spouses, common-law partners, parents and dependent or intended adopted children may become Permanent Residents through the Family Sponsorship program. Parents and Grandparents are eligible to reside in Canada under the new Parent and Grandparent Supervisa program. Have you been arrested or detained? Persons may be denied entry to Canada if they (or their dependents) are determined to be criminally inadmissible by a Canadian Immigration Officer. We can advise you as to the steps to be taken to overcome inadmissibility. Are you a business person or manager looking to immigrate to Canada ? Your investment could be your way of obtaining Canadian Permanent Residency. There are categories for individuals (either business managers or owners) having a high net worth: Federal and Quebec Investor, Entrepreneur, and Self-Employed programs. We can help you with Canadian Business Immigration. Workers or students currently in Canada can become permanent residents through the Canadian or Quebec Experience Class programs. There are categories available specifically for individuals who are studying or working in Canada. These include the Canadian Experience Class (CEC), Quebec Experience Class (PEQ) and Provincial Nomination Programs. Are you a worker currently in the United States on a temporary work visa? If you are working in the U.S., Canada wants you. North American training and work experience is what Canadian employers prefer.